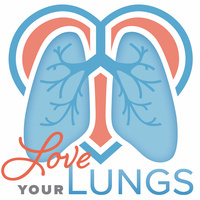 UAB Employee Wellness is celebrating lung health and tobacco-free living on Thursday, Nov. 15, with Love Your Lungs. UAB employees, students and members of the community are invited to snap a pic with the Inflatable Lung, learn about healthy lung resources, spin the Wheel of Wellness and enter to win prizes including Love Your Lungs T-shirts, Employee Wellness swag bags and more. Stop by Love Your Lungs at The Kirklin Clinic corner at 20th Street between 7 and 9 a.m. and enjoy a free cup of coffee from the Dunkin Donuts Coffee Bar. In the afternoon, Blaze Radio joins Love Your Lungs on the UAB Green from 11 a.m. to 1 p.m.